One of the coolest areas of Singapore we came across was the Arab Quarter. The Arab Quarter is a bustling area during the day and at night. It was by total accident, we even ended up over here. We had to fly back to Singapore to catch a standby flight in order to get home. So, the day we left Bangkok to go back to Singapore I was scrambling to find a hotel. 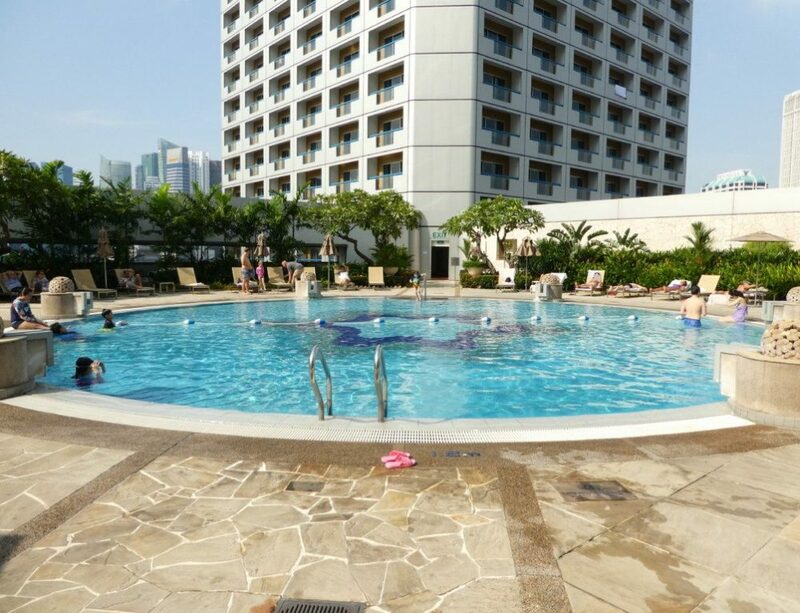 I was hoping to stay at Fairmont Singapore again, but they were booked. (That’s what I get for always being a last minute planner.) We eventually booked Hotel Clover 33. They have rooms that can sleep 4 people. We stayed in one of their family rooms, which happens to be a loft room. It cost me right around $200 a night. Unfortunately, Singapore is an expensive place to visit. If you want to be able to leave your kids at the hotel and go grab a drink in this area then this would be a good place to stay. If you needed to, you could be back at the hotel within a 5-10 minute walk. Maybe even quicker than that. Shortly after checking in we got hungry. We decided to walk around and see if we could find somewhere to eat. Basically, as soon as you walk around the corner from the hotel you are in the Arab district. From most of the area you can see the Sultan Mosque. All around the mosque are shops, restaurants, and bars. We found a tasty Lebanese restaurant to go to. There are many Lebanese restaurants to choose from. I think we could have picked a better one so I am not going to bother sharing the one we went to. 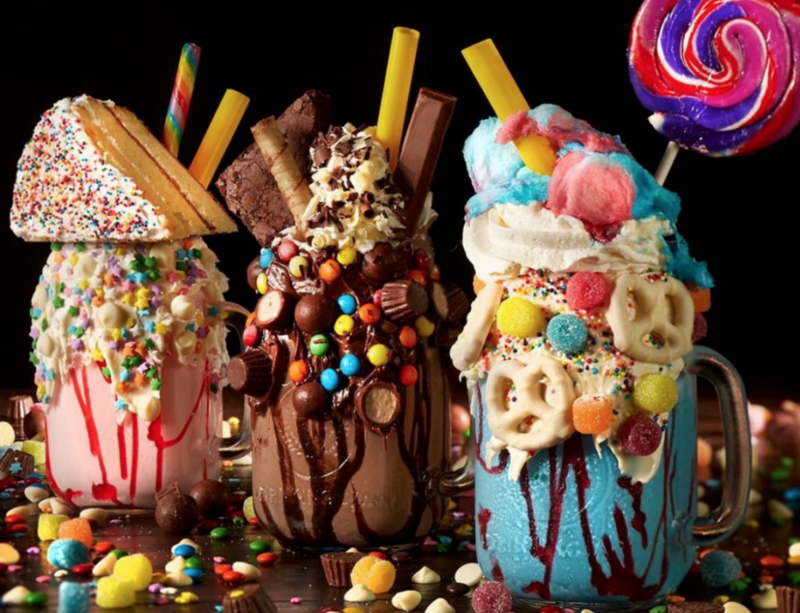 FYI – many of the restaurants here will not serve booze. At night we found this street/alley to be super fun. There were lots of people hanging out having a drink. The building with the elaborately painted wall is a Mexican food restaurant. Hanging out here at night and having a drink is one of my most favorite things to do at night in Singapore. 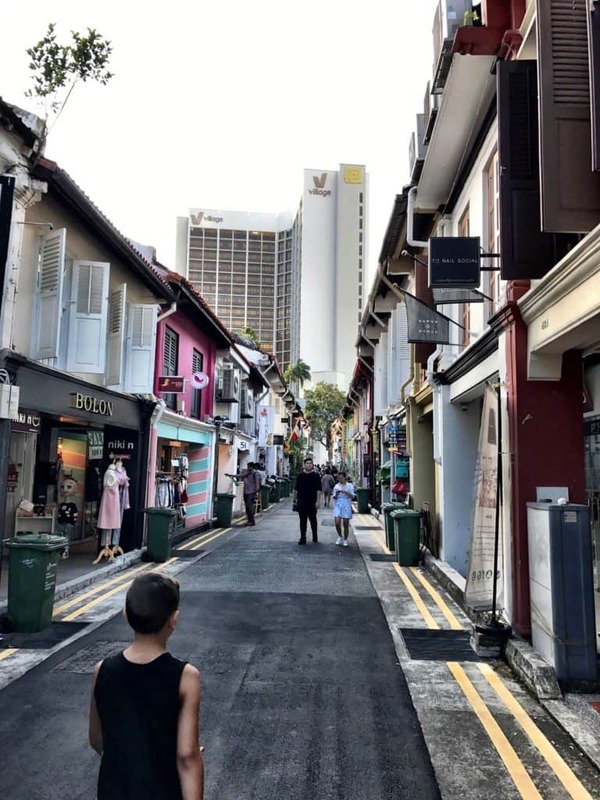 What is your favorite thing to do in Singapore? 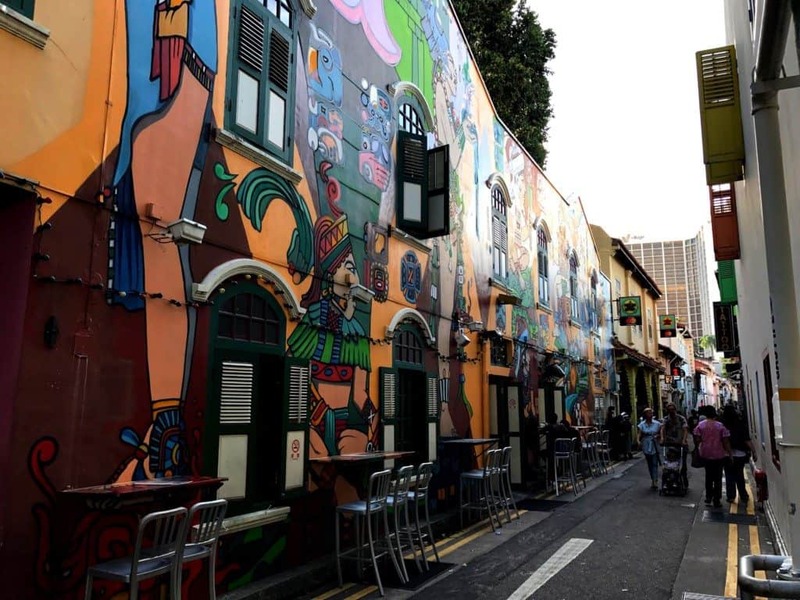 Kampong Glam aka the Arab District is a neighborhood in Singapore, located north of the Singapore River. 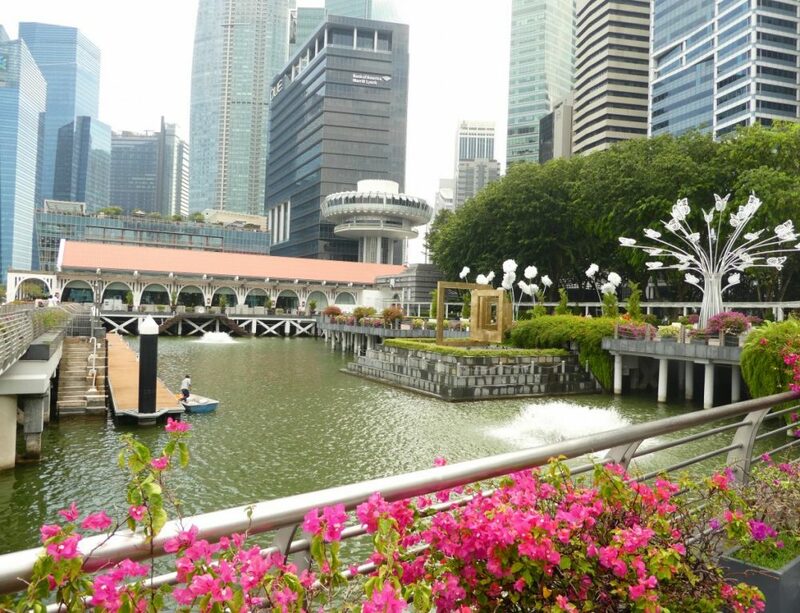 Prior to colonization by the British in 1819, this area was home to the Malay aristocracy of Singapore. 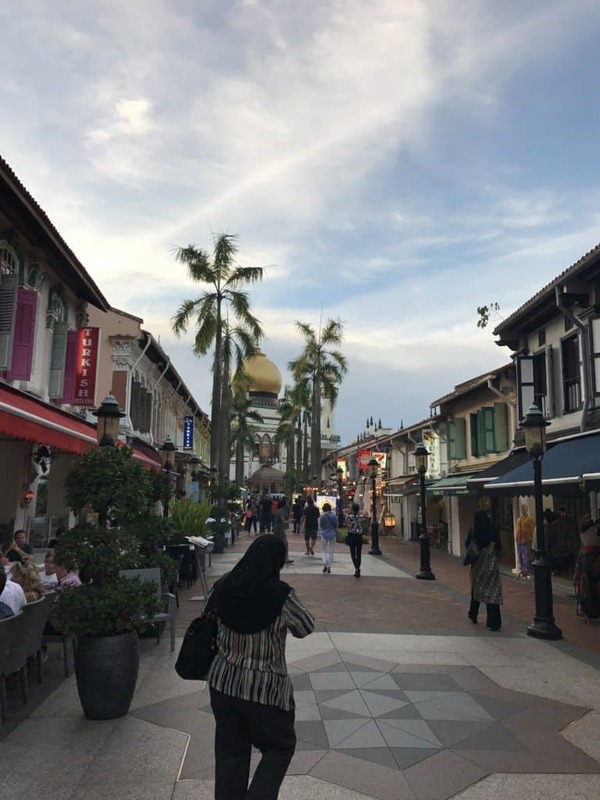 It became prominent and more populous after the signing of a treaty between the British East India Company, Sultan Hussein Shah of Johor and Temenggong Abdul Rahman in 1819. In this treaty the company was given the right to set up a trading post in Singapore. Later in 1822 under the Raffles Plan, the settlement was divided according to different ethnic groups which included European Town, Chinese, Chulia, Arab and Bugis kampongs. Kampong Glam was designated for the Sultan and his household, as well as the Malay and Arab communities. 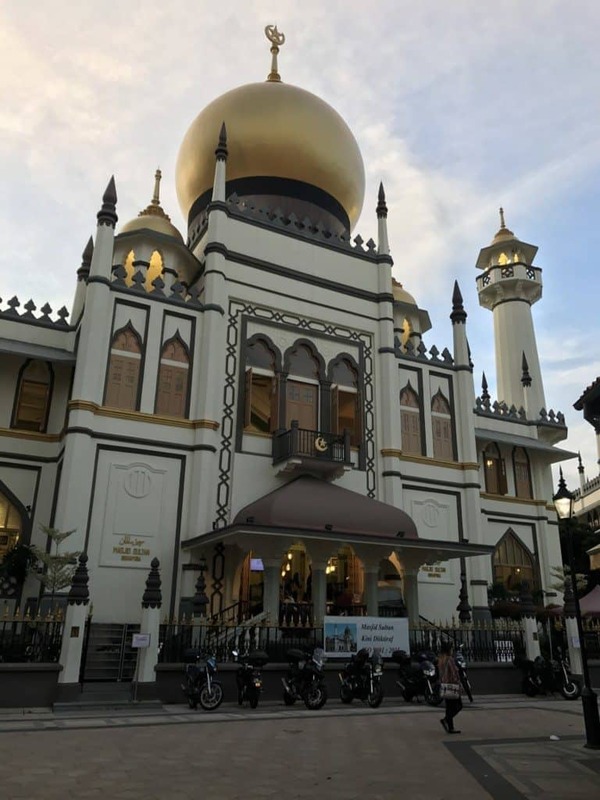 Sultan Hussein, his family and followers settled in Kampong Glam. In return, the Sultan was given large areas of land for residential use in Kampong Glam under the treaty. 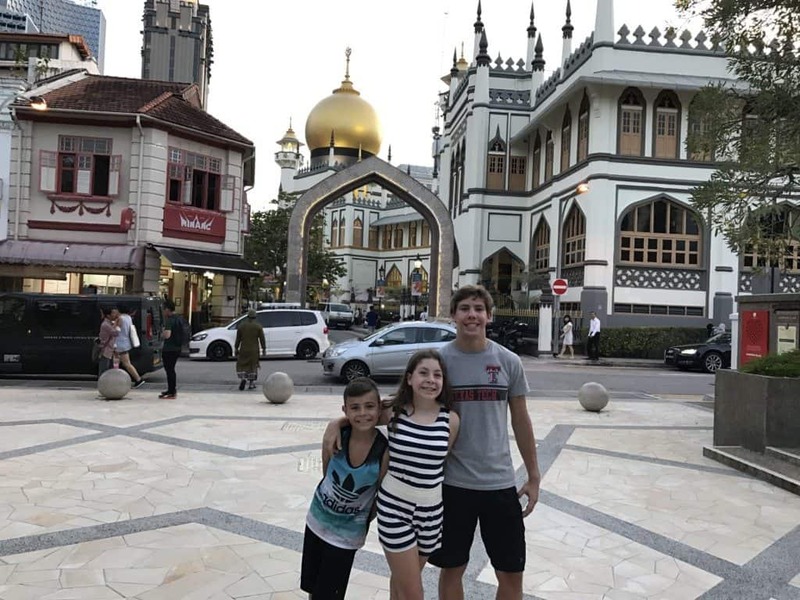 The land was allocated to the Malays and other Muslim immigrants to Singapore, including the Malays from Malacca, the Riau Islands and Sumatra in Indonesia. It also included the Baweanese, Banjarese, Chinese and Indians.